Coming off the heels of their innovative Film Noir Summer of Darkness, it wasn't enough to partner with Ball State University for an intensive six-week free course in Film Studies, introducing the genre to over 20,000 noir fans. Barely catching their breath, TCM - together with Women in Film LA -announced a new three-year project celebrating the female talent behind the camera. This ambitious endeavor promotes the twin goals of building awareness of female filmmakers and appreciation for the cinematic history they began creating during the early days of Hollywood filmmaking. At a time when there is great public debate about the systematic exclusion of women from the creative process behind the lens, it's easy to forget that women were active in giving birth to this popular visual medium. Names like Alice Guy-Blache, Lois Weber, Frances Marion, and Dorothy Arzner shaped our early gaze - and our identities - by writing, directing and producing silent and sound films, both in the large studio and at their own production companies. Powerhouses like Ida Lupino enhanced her acting career by directing for the big screen and then brought her talents to television, encouraging the likes of Lucille Ball and others to begin calling the shots in the Hollywood Production Rooms. 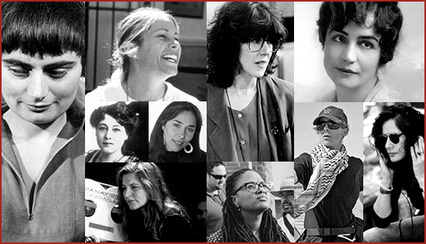 Trailblazing Women for 2015 began on October 6 and featured films by Blache, Weber, Marion and Arzner. The rest of October will expand on the horizon they developed with movies from the 1980s/1990s. Hosted by actress/producer/writer Illeana Douglas and a rotating crop of female co-hosts, these talented women bring their collective experience into our homes on Tuesday and Thursday evenings, sharing their diverse perspectives on filmmaking, women in film and gender parity. The second aspect here is TCM’s commitment to developing high quality, interactive programming for their audience. This devotion to every facet of filmmaking, education and history sets this channel apart from the rest of television - and that’s no small feat. As a dedicated viewer, I look forward to the many enjoyable film experiences that TCM will be creating in the future. 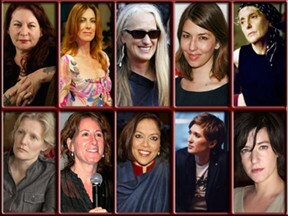 In the meantime, do check out the Trailblazing Women schedule, visit TCM’s website, set those DVRs and enjoy our history! ​Also, please note the comments about individual artists below and my article on women directors in the Commentary section: Hollywood Director's Club: For Men Only. 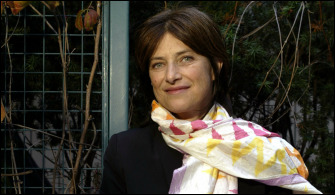 Director Chantal Akerman passed away last week, on October 5, 2015. 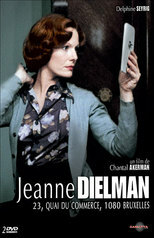 Jeanne Dielman is considered her masterpiece. Director Kathryn Bigelow was the first woman to win an Academy Award for Directing The Hurt Locker.